If you know you want to form a business entity and you are looking at what type to form, an S Corp may be the perfect entity choice for you. S Corps have some very attractive features which I will discuss below. There are a bunch of reasons you may not be eligible to form an S corporation or may be better suited to form an LLC. We can talk about that too. Now, let’s get to the fun stuff! Let’s start from the beginning. What is an S Corp? An S Corporation is actually just a regular old corporation. A corporation is a business entity type formed by filing Articles of Incorporation with the Secretary of State. I’ll make this easy. Imagine that having a corporation is like getting into your neighborhood telephone booth and coming out as a…SUPERHERO! When you have that superhero suit on you are invincible! You have liability protection! No one can sue you as a regular person only as a superhero. They can’t attack your Batmobile or your superhero mansion! The problem with putting on that superhero suit is that you are now on the radar of the evilest villain in all the land…the IRS! Now when you are on the IRS’s radar, they want to tax you because that’s what they do. So they tax you as a superhero (“corporate tax”) and again as a regular person (“individual tax”). Now imagine you could get an invisibility shield from the IRS. This shield is an S Election and once you have it the IRS won’t tax you as a superhero but only as a regular person. You are now what is known as a “Pass Through” superhero and can avoid double taxation from the IRS! Woohoo! Now. you get to go on with your Superhero business with all of your awesome superhero powers! But unlike other superheroes, you don’t have to be taxed twice! Of course, some Superheros might benefit from C Corp taxation but we can talk about that another time. There is another amazing benefit to being an S Corp as opposed to being a sole proprietor (just yourself with no biz) or an LLC (taxed as a disregarded entity or partnership). The benefit is saving on self-employment tax. If you already have a business and you are getting hit with self-employment tax you might know what a drag that tax bill can be. Owners of sole props and LLCs (not taxed as S Corps) pay self-employment tax on the total income of the business. For example, your business makes $100,000- you pay self-employment taxes on that whole piece of the pie. As an S Corp the company only pays self-employment tax on the amount of money paid to the employees of the S Corp in wages. This can result in some big tax savings! The catch here is that owners of the S Corp will need to pay themselves a reasonable wage. Shareholders of S Corps can also pay themselves through dividends which will not be hit with self- employment taxes. Of course, it’s always important to talk to your own tax professional about when and how an S Corp can benefit you form a tax perspective. Often times LLCs are a great choice because they avoid a lot of the formalities of corporations. LLCs aren’t required to have meeting minutes and they don’t need to deal with electing and maintaining a board of directors and officers. An LLC probably won’t work for you if plan on having investors or want to offer equity to your employees in the future. In that case, an S Corp is likely to be the best option for your business entity choice. LLC’s can also be taxed as S Corps. Yes, you can have your cake and eat it too! LLCs can be taxed in different ways. 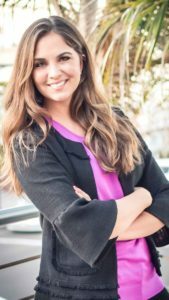 Single person, LLCs are usually taxed as disregarded entities and LLCs with more than one member are usually taxed as partnerships. LLCs can also make an election to be taxed as an S Corporation or a C Corporation. 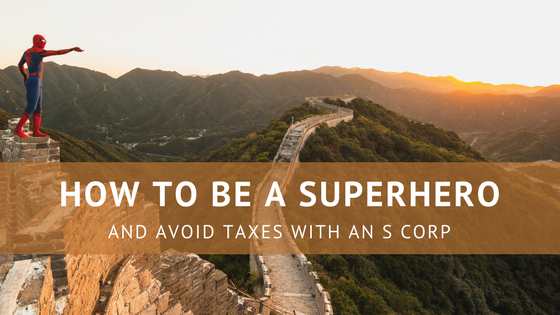 If you are a small business that doesn’t intend on taking on investors, an LLC taxed as an S Corp may be the Superhero choice for you! As always, this is just a glimpse of the law and you should definitely contact us if you need help deciding which business type is right for you!